I grew up on a dairy farm in the South Gippsland outside the town of Loch. As a young girl my time was spent reading the cook books that mum kept in the bottom kitchen drawer. Always looking for a new recipe to try, a new food idea. Many weekends where spent making rainbow cakes with as many colours as possible – have you seen my IG feed, not much has changed! - and looking for recipes that I could cook using what was available in the cupboard or from the vegetable garden. See you all soon in the Get Cheffed kitchen! I started and finished my apprenticeship at Qubah morwell and went on to become Head Chef at Cargo in Traralgon, where I stayed for four years. I opened Saltbush Restaurant and Cafe in late 2011 and in 2015 expanded to the market circuit with Little Piggy Market Munchies. My biggest and proudest food achievements to date would have to be sticky Asian beef short ribs and Korean fried chicken. Food is something I’m really passionate about because it brings together family and friends in a way that nothing else has the ability to do. I love Gippsland because we are central to the city, beach and snow. Here in the Latrobe Valley and in the whole Gippsland region we have such a great variety of restaurants, wineries and produce, and this is something that we should try and celebrate more and more. I had a modest beginning to my career, finishing high school and heading straight into an apprenticeship at the local pub in Trafalgar. Due to my Italian heritage I have been surrounded by beautiful food and wine from an early age. To me, food means more than just to eat, it’s what brings my whole family together. I was 'Baptized by Chef' by Joseph Vargetto, (Mister Bianco, Massi) at the famous Oyster Little Bourke Restaurant in Melbourne. Joe fuelled my strong work ethic whilst honing and refining my new found skills. After three years of dedication, I travelled around the globe before coming back to Melbourne, where I helped transform Oyster Little Bourke into Mezzo, working alongside Chef and now dear friend Mauro Callegari (The Independent, Gembrook). After 5 years in Melbourne, I was driven to work in a Michelin Star Restaurant. I was fortunate to get a position with Carlo Cracco, the Italian innovator and poster boy of modern Italian cuisine. At Ristorante Cracco I continued to fine tune & perfect my skills under the watchful eyes of some of the best Italian chefs in the business. Back in Melbourne I worked alongside Chef/Restauranteur Scott Pickett to open his first venture, Estelle. Running the kitchen and absorbing as much knowledge I could from Pickett before taking the leap to open my first restaurant, Big Spoon Little Spoon in Warragul. And I am now an owner / director of the Courthouse Restaurant & Garden Bar, a stunning heritage building in the heart of Warragul CBD. From a young age I was always going to grow up and pursue cooking for a living, after finishing school at year eleven, to start an apprenticeship at a local pub. That dream was starting to become a reality. Working at that local pub for the first two years of my apprenticeship before moving on to a café. From there I went and experienced a summer at the local pub of Queenscliff, if anything it showed me how much I love being by the water! After that I moved back to my home town of Morwell where I worked at the local pub as a chef before being offered Head Chef at the same venue, where I stayed for 4yrs. Fast forward to now… Head Chef at the Paynesville Pub… Yep back by the water! Being able to attend Adriano Zumbo’ Masterclass in 2016 and being able to meet such a talented Pastry Chef is probably by far the best experience of my career so far, followed closely by my brief meet with Gordon Ramsay! Hi there! I’m Sallie from Gippsland Jersey, a dairy brand with a difference. April/May 2016 the Dairy crisis happened. Farmers were brought to their knees in an unprecedented way that had never been seen before. This had a significant financial, mental and physical toll and the effects are ongoing. Two months before the Dairy crisis, Sallie’s dad took his own life. This rocked Sallie's world. The combination of the milk crisis and a personal tragedy and brought two families together and the decision was made to start a milk brand that stands for creating social change to smash the stigma of mental health and paying farmers for a fair price for a fair days work. Born in Tinamba, Damien worked on the family dairy farm after leaving school. His first hospitality venture was a Café in Sale called Beakys Burgers, established in the late 1980’s. 20 years later Damien opened Neilsons Restaurant in Traralgon in 2001, which he went on to sell in 2008. He then purchased Tinamba Hotel in 2009, and has gone on to open Mister Raymond 2012. Currently a board member of East Gippsland Food Cluster and Destination Gippsland. Fifteen years ago Tamsin committed herself to eating with the Gippsland seasons and from her own land, a hilly but fertile 113 acres, knowing nothing more than that she wanted to live simply and well and play her own tiny part in ‘fixin’ things’. A decade later she has the deep satisfaction of knowing where all her food comes from, because all her fruit, veg and meat comes from the patch of dirt around her. With an always plentiful supply of food, and full of the joy that she found in eating this way, six years ago she made the decision to step away from her previous career in advertising and social research and start a farm based business called Tamsin’s Table, which brings people together around a big old table for cooking classes and shared table lunches. Coming from gippsland I got my love for produce from my grandmother. She always had amazing veggie gardens and orchards, so it was instilled in me from a young age that I was always destined to be a chef. Even hanging with my best friend and his parents’ fruit and veg shops working and learning as much as I can for a seasonal perspective. I also did some small stints at a very young age with my cousin at Century Inn and some of her other establishments. I moved to Melbourne in 1999 to start my cooking apprenticeship and moved quickly up the chain, working with some of the most talented chefs, leading as much as I could along the way. I then moved on to run my own kitchens, setting up different concepts along the way leading the path to where I walk along my hospitality journey today. I am now the proud owner and Head Chef at Ascot Food Store in Melbourne. Meg grew up with seasonal, organic food. Her father had a terraced vegetable garden and grew a multitude of vegetables, kept chooks and had rotating compost bins. Her mother, the flower gardener, would forget the Sunday roast. So, at age 9, with the encouragement of family, she started to cook. 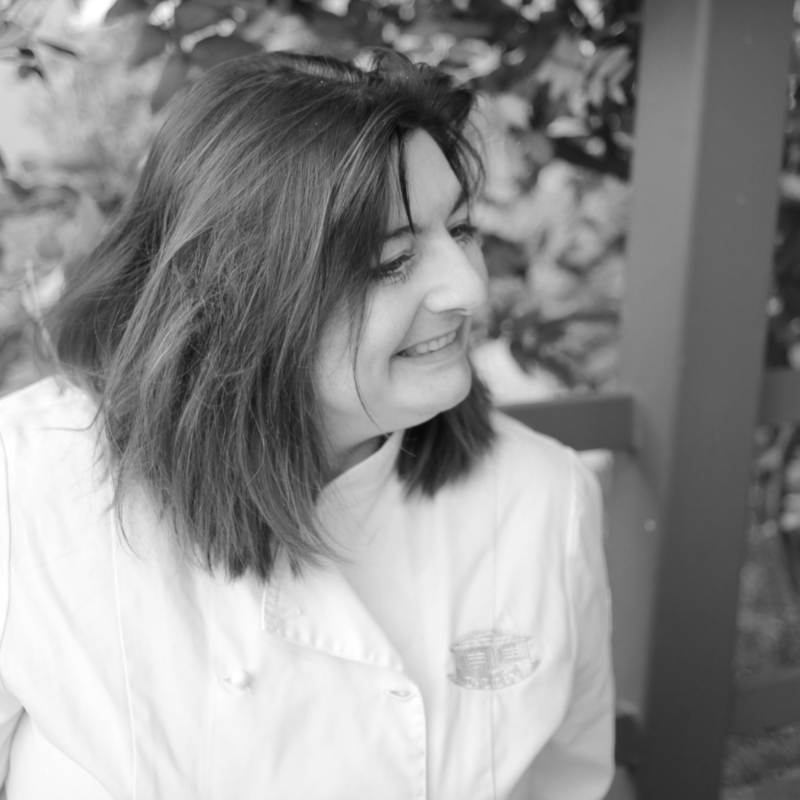 As a young adult Meg did a 6 week course with a French chef, which paved the way for experimentation and a wonderful sense of play. During the time Meg lived in America, she was asked to teach people about herbs and using fresh seasonal foods in their cooking, and her relationship with food was again broadened. Now Meg has a few cookbooks under her belt and continues to enjoy food as art and play. Birch originally comes from Nth Qld’s cane farming district. Moved to Melb in 1986 and worked in the banking and Finance industry till 2003. In 2007 Birch and Liz (wife) purchased 27 acres in Darnum and established Darnum Park Estate - an olive grove business which also has fruit and berries. Darnum Park Estate has won a number of awards for its olive oil and olives. Maree has been baking bread for over 30 years and for the last 7 years has focussed on sourdough or naturally leavened breads, cakes and pastries. Maree is now offering sourdough bread making workshops, and is operating a small community bakery in the Gippsland town of Trafalgar where bread is baked to order. All breads from Simply Sourdough are made using premium ingredients with no artificial additives or preservatives. Maree has a wealth of knowledge and is able to teach to ensure you reach maximum potential as well as offering ongoing support and guidance. Chrissy started Chrissys Organics due to finding it hard to go out and find food for her son who had many food allergies and wanted to provided the community with a healthy yet flavoursome option.